This is Walter de la Mare's most famous poem. All children of my generation would have learned it by heart at school. It remains in fact, one of my very favourite poems. 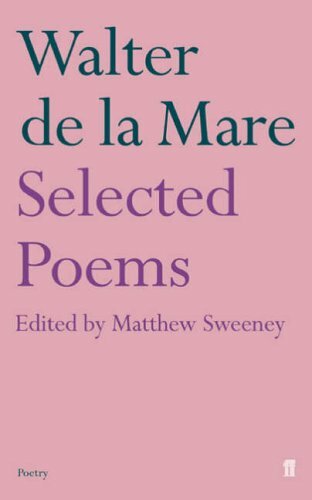 from Collected Poems (Faber, 1979), by permission of The Literary Trustees of Walter de la Mare and The Society of Authors as their representative. THIS POEM HAS BEEN SPONSORED. For Mum (Sheila Smith), and for all those memories brought back from the dark stair, with love, Tracey. Interested in sponsoring a poem? Learn more.